Fantastic Beasts: Fantastic or Not? 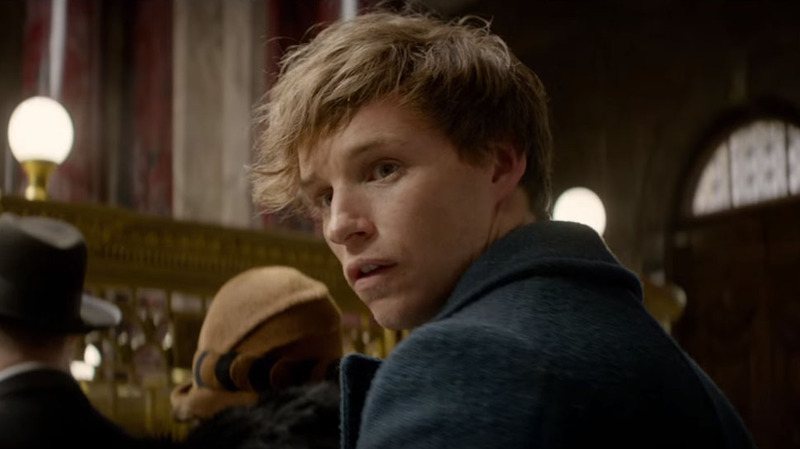 As a long-time Harry Potter fan, I knew I’d eventually get around to watching J.K. Rowling’s new spinoff film Fantastic Beasts and Where to Find Them. It just took a little longer for me to arrange getting there. After viewing it, I must admit that I was pleasantly surprised. The atmosphere felt dark and moody, matching much of the tone of the film, and there was quite the queue of ridiculous, likable characters parading through an admittedly weak plot (dark monster, predictable villain–you know the drill). However, it’s those same characters that probably disappointed me the most in viewing this film. The characters were all lovely–Newt was strange (in a kind way), Tina was singlemindedly obsessed with fulfilling her duties, and Queenie proved flirtatious and just awesome in every way. However, this is the problem; these were great characters that were granted very little in the way of character development. After the strong attachments so many fans (myself included) formed for so many characters in the Harry Potter franchise, this bunch is sadly quite forgettable. I’m hoping the sequels fix that. Having said that, I felt Dan Fogler placed so much heart and care into his role as Jacob that this was the one character that, I believe, will remain the film’s most memorable icon. Can I also say that you could tell this movie was made by the British? A British director, primarily a British cast, and a British writer from behind the scenes created this 1920s-style New York. It was good, just a stylized version of Americans living in a city that felt more like a copy of London than New York. At least now I know how the British view Americans in history–they’re opportunistic, strict about the law, no matter how arbitrary, and they punish perpetrators swiftly and severely. Since we recently elected President Cheeto, I’m pretty sure British opinions have already lowered considerably. Despite all this, I’d recommend this film to anyone. Its truly most beautiful component were the beasts. They each held so much life and energy, adding very much needed humor as well as developing Newt’s humanity. He adored each of them. Without them, I probably wouldn’t have really cared for the main character. Overall, this was a story filled with hanging plotholes and undeveloped characters, but it’s message of love and understanding held unshakably throughout the entire film. I liked that.